Possum loved the deep dark. Possum loves the night, particularly after midnight when he can explore his territory. He encounters other Australian animals then settles in for dinner before hearing a call for help from another possum. Leaving his dinner, he responds to the call to discover that a mother needs help to find one of her babies, who has fallen and is now lost. 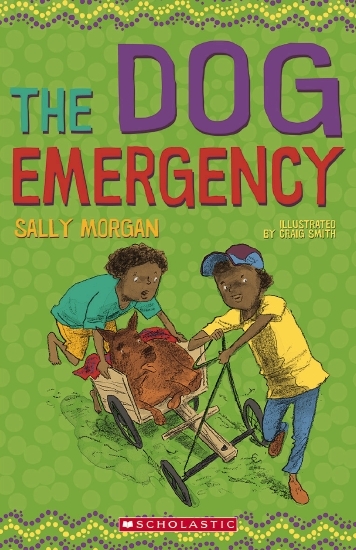 When they locate the lost baby, there’s rescuing needed and Possum is up to the task. The rescue becomes complicated, and Possum must be brave if he is to safely return baby to waiting mother and sibling. Only then can Possum finally eat his dinner. Illustrations are patchwork-like digital collage with a strong nod to Eric Carle’s art. They include a wide variety of Australian animals. Endpapers feature gum leaves and the gum blossom of Possum’s dinner. 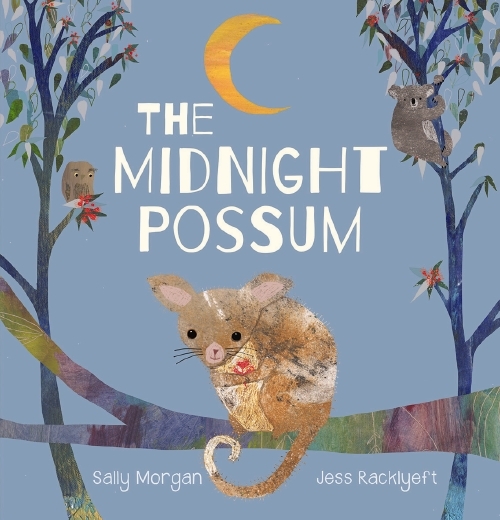 ‘The Midnight Possum explains all those noises in the night experienced by those who share their neighbourhood with possums! In this outing, a male possum is needed to rescue a baby when a mother cannot leave her other baby to effect the rescue herself. Readers may speculate and/or investigate the differing parental roles of possums and other night-dwellers. Illustrations introduce other night animals and also a range of native flora. They also note those non-native animals that can pose a threat to possums when habitats overlap. Recommended for pre- and early schoolers. Beginning at sunrise and ending with starlight, a child observes their world. The light changes, the animals appear at their ideal time of day, plants wave in the breeze. 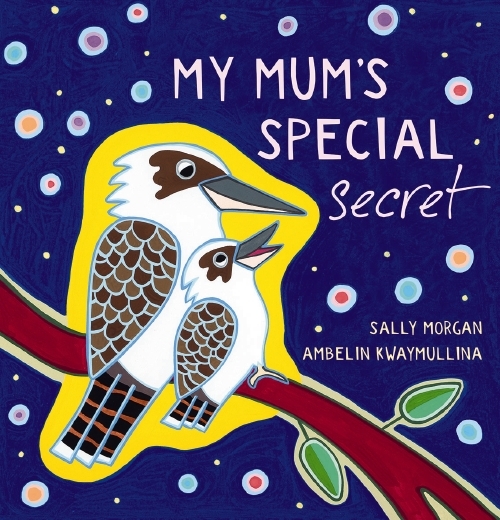 On each page is a small companion blue bird and a hint of which animal will feature next. Artwork is colourful, simple and complex, full of pattern and life. We All Sleep is a particularly Australian lullaby, featuring iconic animals and birds, doing their thing in an Australian landscape, watched by an Australian child. It offers an opportunity to introduce our native fauna and flora, while the rhythm of the language is informative and soothing. An ideal gift to send overseas, and to keep close at home. Recommended for pre- and early schoolers. And art students. Secretly Magpie felt jealous of her friend. He could soar to great heights. He could drop from the sky like a stone. He could see over a long distance. Magpie decided to play a trick on him. Magpie can sing beautifully, but she is jealous of her gentle, kind friend Brown Falcon, for his hunting and flying skills. So she plays a series of mean tricks on him to make him look silly. AT first Falcon tries not to mind, but eventually he gets cross and flies away. 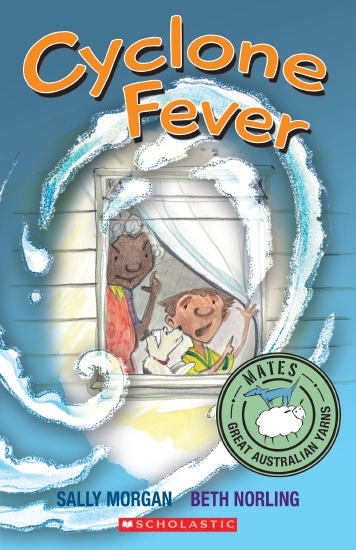 When Magpie gets caught in a hunter’s nest she realises, almost too late, the value of Falcon’s friendship. 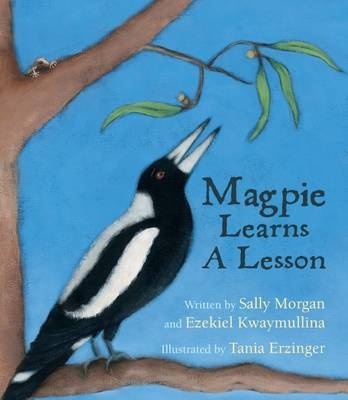 Magpie Learns a Lesson is a charming lesson about friendship and, in a story with echoes of The Boy Who Cried Wolf, the importance of being honest. The story is brought to life in beautiful acrylic paintings, with the oil sketch paper adding . texture. Rich blue skies alternate with creamy backgrounds and eucalypt greens for the ground and tress scenes, giving a generous echoes of the Australian bush.